A lot of people around the world have begun the season with weight loss and fitness goals, and most of them are in the hunt for exciting, fail-proof methods to lose weight. Adam Reitz, a school teacher from Bethlehem, is a worthy inspiration to all such people. He has shown just how successfully one can drop 100 pounds using the most ancient and simple form of exercise known to man: running. Here is an account of how to lose weight fast, the Adam Reitz way. When Adam Reitz, a school teacher, was about to get married three years ago, he weighed a whopping 275 pounds. His future wife, also a teacher in the same school, went with him on a school trip and when the photographs were delivered to him, what he saw was a really fat man alongside his fiancée. He was profoundly hurt and disgusted with himself, but the good thing was that his negative feelings spurred him into action. Naturally, he had been aware of his weight before, but it hadn’t hit him. Now he was determined to look better for his wedding. Adam began controlling his diet and riding his bike. He did not sign up for any fad diet, but simply started eliminating junk food from his lifestyle. By the time his wedding came, he had shed 20 pounds and he earned a lot of compliments, which motivated him even more. At this stage, Adam’s friend encouraged him to sign up for a half marathon, and that is where his love affair with running started. 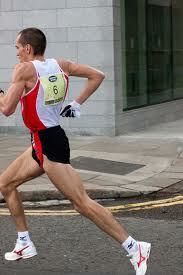 Although he couldn’t even run one block when he began, he slowly got addicted to the challenge and thrill of running. Gradually, he began to feel healthier, fitter and leaner. He participated in the Philadelphia Marathon in 2008, and by that time he had lost 50 pounds. 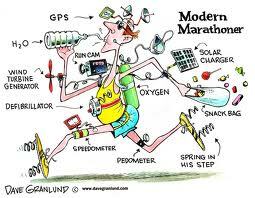 Then he went on to do a marathon in Washington, which he ran in under 4 hours, and finally the New York City Marathon. He prepared intensively for this one, dedicating his Saturdays to his runs. He and his friends did a 20 mile run every other week, and on the day, Adam ran the marathon in under 3 and ½ hours, an elite time. By now, the once obese man had reached his perfect weight of 175 pounds, and his size 44 waist had come down to a size 32. It was a remarkable change in all of three years. The most striking feature of this entire journey is that Adam never started with the goal of losing weight any which way. He did not go on any starvation weight loss diets, neither did he rush out to purchase diet pills and sign up for bizarre methods. He made healthy and sustainable lifestyle changes, and his objectives were to lose weight fast as well as get healthier. All those who want to lose weight this year can draw inspiration from Adam’s example, even though they may not want to run marathons all over the country. In fact, losing weight does not always require extreme lifestyle changes. Regulating your diet and incorporating any form of exercise in your routine will help you lose weight.